A few days after the 1992 Los Angeles Riots—the deadliest in 20th century America—Oprah Winfrey brought her show to Hollywood. Emotions ran high in the local studio audience, and even higher among Winfrey’s guests: Korean-American and African-American leaders, there to talk through their communities’ corrosive relations, which had shaped the bloody week. 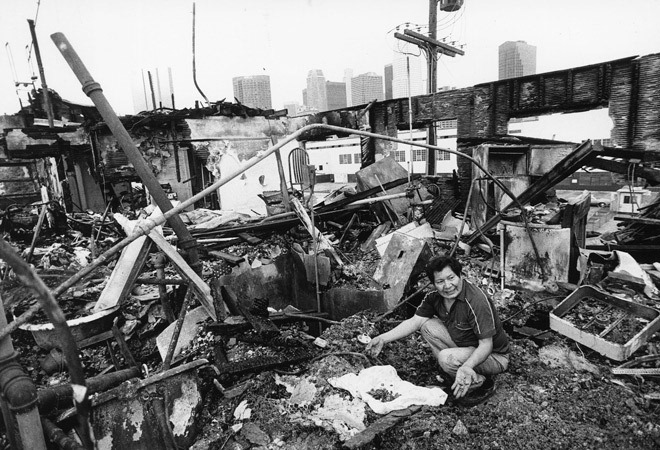 All week, Im had watched Angelenos of all colors burn and loot shops in Koreatown (the neighborhood where most of L.A.’s Korean immigrants live, as well as your humble correspondent). Her community was devastated, financially and emotionally. Here was the blunt illustration of how some Angelenos perceived them: a successful yet selfish “model minority,” unwilling to assimilate, and racist (earlier that year, a Korean shop owner shot and killed a young black girl over an orange juice she assumed the girl had stolen). Today marks the 22nd anniversary of the riots, and Im is still standing. An effusive woman in bright colors and platform heels, she waves off a handshake and hugs me when we first meet. 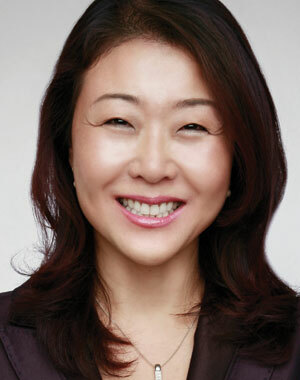 Im is president of Korean Churches for Community Development (KCCD), a non-profit that partners Korean 501(c)s with public and private organizations, in order to build their political and economic power. It is a platform for making the needs and contributions of Korean-Americans visible, says Im, and to transform that “model minority” image. Said image stirred up resentment during the riots and continues to impede community services, ranging from repaved roads to Korean-language voting literature. “If you were a philanthropist who wanted to invest in communities in need, you’d think black and brown,” Im says. “You wouldn’t think Korean, because of the model minority myth. When we show the data, everyone’s surprised.” Aid—both private and public—is much needed, says Dr. Edward Chang, director of UC Riverside’s Center for Korean-American Studies. While some Koreans immigrate to the U.S. with higher education, most arrive poor. And though Korean-Americans hold the highest rate of self-employment in the U.S, many work excessive hours, ending up with less than minimum wage—which translates to a higher-than-average poverty rate. Mix in the country’s second highest level of language isolation, and out comes immense and unexpected hardship. Last year, KCCD successfully advocated for 96 units of affordable housing to be included in an upcoming development. It also convinced the city to turn an empty Koreatown lot into a public park and community center, neither of which the neighborhood had, says Im. In May, she’ll attend a White House briefing for Asian-American religious leaders—the first ever. All of this speaks to KCCD’s strides in raising Korean-American clout nation-wide. But in L.A.’s Koreatown, the road to change remains a long one. In 2011, the Los Angeles City Council drafted new boundaries that split Koreatown’s council districts, spurring outrage (and a lawsuit) from Korean-American leaders. Grace Yoo, executive director of the Korean-American Coalition and a spearhead of the suit, says redistricting prevents Koreatown from electing a single councilmember who would represent the community’s unique interests. What’s more, email evidence suggests the council explicitly drew the new boundaries for a race-based purpose, which would violate the Equal Protection Clause. As a result of the reconfiguration, Councilman Herb Wesson now has more African-Americans in his district. Representatives for Mr. Wesson stated that redistricting occurs every ten years, and declined to comment further. Critics of the lawsuit point out that today, Koreatown is 53% Latino and 32% Asian-American. Energy might be better spent fighting for broader-base issues, like affordable housing. Yoo counters that no one benefits from split representation. “Korean or Latino, we’re low-income immigrants,” she says. “We need strong advocates, and instead we get stepped on.” It’s a feeling that resonates from 1992. Next articleIs the Headshot Truck the Most L.A. Thing to Ever Happen to Los Angeles?